…Yesterday’s pizza warmed to the point where it’s so hot that it’ll melt your head. …Microwaves don’t have the best reputation! Fortunately, technology has moved on and the best microwaves can make cooking simple, quick and actually pretty nice. But how do you choose one out of the hundreds that are on the market? 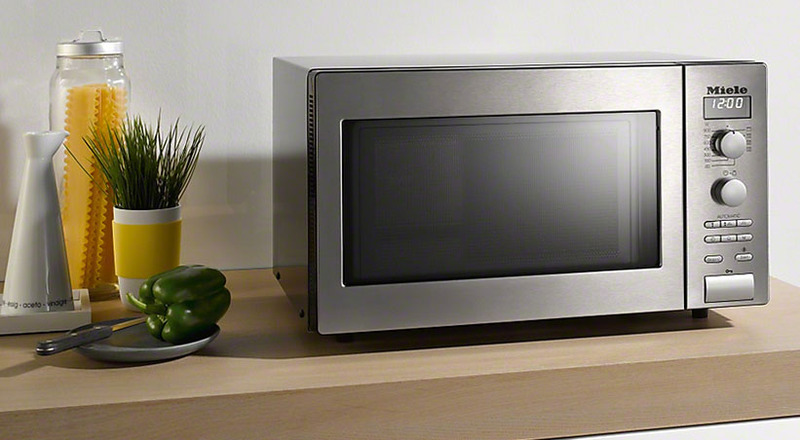 Well, we’ve written this buying guide to help you choose the best microwave for your needs. We’ve also listed our favourites so you don’t have to trawl the internet for hours like we did! The question ‘what is the best microwave’ is almost impossible to answer. The best microwave for you depends on your family life, your current kitchen setup and your cooking habits. Which is why we have listed what we think are the best microwaves by category. Once you know which type of microwave will be the best microwave for you, you can go ahead and see which models we recommend. Just want something basic? Take a look at our favourite solo microwaves. We’ve listed our favourite microwave grills. Have a look and find the perfect machine for you. If you want the flexibility of a combination microwave then have a look at our top picks. Which is the Best Microwave Oven For Me? If all you’ll be doing is heating up last night’s tea and defrosting then a Solo Microwave might be your best option. But if you want something capable of doing more, you could consider a microwave grill or a combination microwave. Solo microwaves are the most basic. They’re perfect for simple tasks like reheating last nights left over tea, warming soup, cooking ready meals and defrosting. If it’s simple tasks like this you want doing, a solo microwave is a good choice. It will do them quicker than your hob or oven but that is where their capabilities end. Solo microwaves can’t brown or crisp food, so can’t compete with ovens when it comes to roasting or grilling. The microwave grill combines the conventional microwave with a heating element. You can do all your normal microwave cooking like reheating and defrosting but the grill function gives you the option of browning your food. They generally come with a rack that brings your food closer to the heating element, like a conventional grill. Some microwave grills also allow you to use the microwave and grill together for more complex cooking. 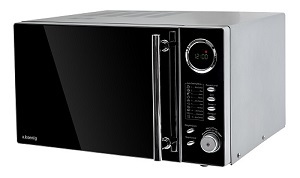 Also called convection microwaves, the combination microwave is generally the most expensive. That said, they are capable of doing more than a solo or microwave grill. Besides standard microwaving and grill element, combi’s use convection heating (fanned hot air). They can reheat, roast, brown and crisp your food like a conventional oven. You can use the heat sources independently or if you’re feeling adventurous, you can combine them. 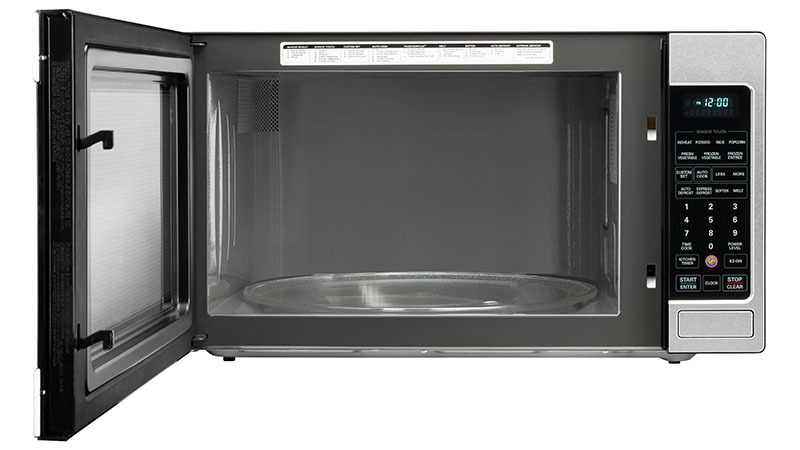 If you’re in the market for a microwave that’s got all the options, then a combination microwave is the one you should consider. How Much Will a Decent Microwave Cost? You can pick up a microwave for less than £50 from places like Tesco or Amazon.co.uk. They will be pretty basic and likely to be solo microwaves. Many of these models will only have 2 controls; one to set the power and the other to set the time. While this makes them very simple to use, they’re not very pretty, usually just a white or black box. Also, they can take up quite a lot of counter space while not being very big inside, so make sure you check the dimensions. If you want something sleeker which looks good in your kitchen and has a few more program choices then expect to pay more, although you can find some good cheap microwaves if you keep looking. Grills and combination microwaves are more expensive because they’re capable of doing more. But as with with anything else in life, you get what you pay for – both in terms of quality and features. Some microwaves will be programmable, meaning that they can be set to defrost your food and then cook it without you having to go and change the settings in between. They might have self cleaning features built in, drop down oven doors or one touch sensor cooking where all you have to do is put your food in and press the start button. They might even have a built in steamer or rotisserie. If you’re looking for a built in microwave (meaning that it’s built into your kitchen and not sat on a worktop), you can expect to pay more again. With all this being said, there are microwaves that defrost and cook food perfectly well. On the other hand, there are others that cook unevenly, leaving some parts cold while overcooking other parts. Which is why this article exists! To find a microwave that doesn’t just do what you need it to but does it well and at a price within your budget, read our reviews. When it comes to buying a new microwave it helps to know exactly what you want from it. You could save yourself some money by not buying a model that has features you won’t use. Most microwave doors open in the normal way. Some though, pull downwards like a conventional oven. This makes for a handy place to rest hot dishes. These generally come with the more expensive combination microwaves. Vegetable steamers provide a healthy (and quick) way to cook vegetables. Most microwaves have a built in turntable which (in theory) ensures even cooking. Some microwaves – generally combi’s come with a flat bed which provides a larger cooking area. Microwaves with sensor cooking can detect the amount of moisture in food and also the level of humidity inside the oven. They can then adjust the power for safe cooking. This feature automatically adjust the power level during different phases of cooking to make sure your food is cooked safely. A perfect example of this is when you want to defrost your food and then cook it without having to go back and change the settings. Simply enter the weight of the food you want to cook and the microwave will set the power and cooking time. Some of the more advanced microwaves let you enter the type of food you’re cooking, so the power and cooking time can be set more accurately. Many microwaves come with a function dedicated to cooking or reheating pizza. They generally work better on microwave grills or convection microwaves which make the base crispy and brown the topping. Some models even come with crisping plates. Hopefully you now know which type of microwave you want and you know which features you need. 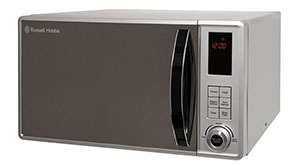 So take a look at our reviews and pick the best microwave for you. The best and most important way to help your microwave stand the test of time is to stop slamming the door. Microwaves have a dual kill switch in the latch of the door making it impossible for the machine to turn on if the door is left open or compromised in any way. This is a safety feature that stops large wavelength microwaves escaping the machine and cooking you! These door latched are quite delicate and vulnerable to failure if you keep slamming the door so be gentle when closing it. If you use your microwave regularly it should be cleaned at least once a week. Any splatter and bits of food stuck to the inside will absorb the heat and can damage the inner walls. The steam will loosen the food deposits s you can easily wipe it away with a cloth or kitchen towel. If your microwave ever breaks or develops a fault, don’t ever try to fix it yourself. Microwaves are dangerous because the magnetron (the part that creates the long wave microwaves) can retain a dangerous charge, even when you’ve unplugged it. So always take it to a qualified professional.